Ketch’up Bike, the smallest among five of Hong Kong’s bicycle-sharing services, has sold a majority stake in its seven-month-old operation for cryptocurrency coins, as it seeks a technological lifeline to reinvent its business while the remainder of the cash-burning industry goes through a shake-up. The company, which operates 1,000 bicycles around Sha Tin in the New Territories, said it has sold a 60 percent stake valued at about US$1 million to a unit of South Korean blockchain company JNU for unspecified units of two coins called JPAY and CyClean. Ketch’up is riding on JNU’s help to expand to Vietnam, Malaysia and Singapore through the green vehicle “smart rental platform” that CyClean, a Singapore entity controlled by JNU and the issuer of the Cyclean token sale, is hoping to build globally. 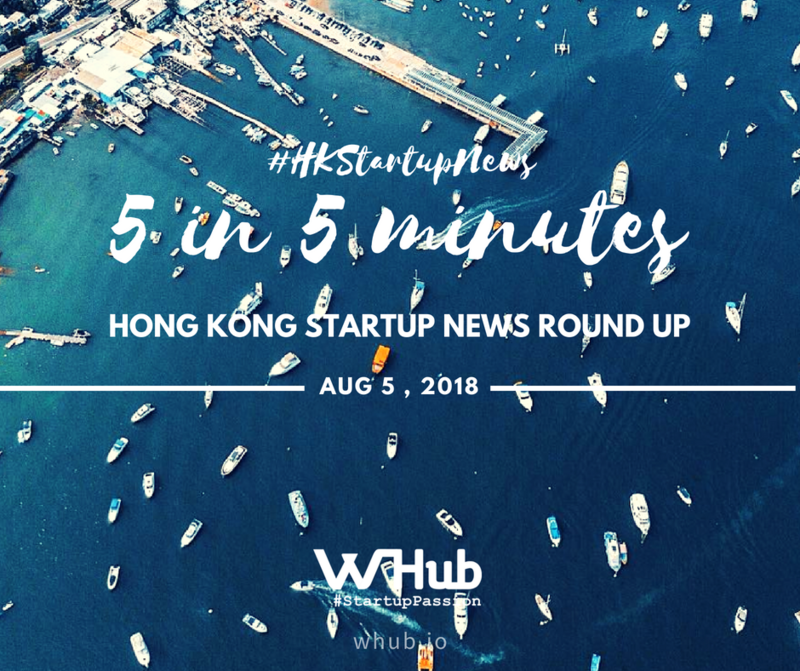 The Fintech Association of Hong Kong (FTAHK), from which WHub co-founder & Chief Hustler, Karen Contet Farzam, is a founding board member of, is an industry body representing more than 160 financial technology (fintech) companies in Hong Kong. It is taking steps to strengthen ties with local financial authorities to promote the adoption of fintech in the city. Amanda Tung, a board member of the group cites figures from government body InvestHK, which notes that fintech investments in the city more than doubled to US$545.7 million in 2017 from $215.5 million in 2016, putting it well ahead of regional rivals such as Singapore and Australia. According to Ms. Tung, FTAHK has registered “significant growth” in membership over the past year. “The association currently has more than 1,000 individual and corporate members. They represent 160 fintech organisations including Hong Kong-based subsidiaries of Mainland ecommerce giants Alipay and Tencent Group,” she says. Want to know more about FTAHK? Read all about it from Ms. Tung's article. Eight leading financial technology (fintech) startups have been selected for the fifth annual FinTech Innovation Lab Asia-Pacific, a 12-week mentorship program created by Accenture. Launched in Hong Kong in June 2014, the FinTech Innovation Lab Asia-Pacific has received nearly 600 applications since its inception, with 33 companies participating to date. Alumni companies from the Lab have raised US$288 million after participating in the program. The startups in the 2018 group have developed innovations in a wide variety of areas — including regulatory technology (RegTech), identity authentication, financial planning, artificial intelligence, software as a service and cloud-based delivery. The solutions are designed to help financial institutions address a myriad of challenges, from meeting compliance requirements and reducing costs to identifying fraud. Bereev – a Malaysia-based start-up that developed Asia’s first legacy-planning application to help people plan for the inevitable. BetterTradeOff – a Singapore-based start-up which uses advanced statistical models and AI to empower people to make optimum decisions when financing their dreams. Checkbox.ai - a Sydney-based start-up whose technology platform enables the digital transformation of regulation, policy and business services into easy-to-use business applications in the cloud. Gekko Lab - a Hong Kong-based RegTech startup for financial intelligence and investigation. The Korea Times has reported that the country’s regulators are set to ease regulations regarding cryptocurrencies — as the Financial Services Commission (FSC) has revised its guidelines for cryptocurrency exchange operators and is looking to apply the G20’s set of unified regulations in regard to cryptocurrencies. The government’s stance and actions thus far indicate an interest in encouraging blockchain technology and the growth of cryptocurrencies, but not at the expense of safety and security. The report comes shortly after South Korea moved to recognize cryptocurrency exchanges as legal entities in their own right for the first time, cementing their position in the local economy. Many publications are predicting that a "capital winter" is coming soon to China. New York Times technology writer Li Yuan surveyed the sudden “climate change” for China tech investments. She recounts the plight of three young men who raised $45 million almost effortlessly for a tech venture fund in 2016, but this June decided to close the firm. The problem: a sudden dearth of investors and promising ventures. Warnings that China’s tech sector might be cooling began in spring, as investors and analysts started to notice the number of Chinese tech startups planning IPOs. Bloomberg considered it a “bad omen” that two-thirds of the 21 China tech IPOs that debuted in 2017 have dipped below their issue prices, famously Xiaomi, China’s smartphone manufacturing powerhouse, which was valued at $50 billion—half the valuation it said it was seeking few months ago.